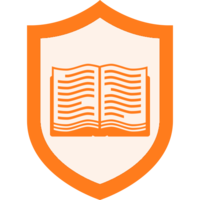 Every Badge List badge has a built-in wiki that can be used as desired by the community of badge learners and experts. Each wiki page has a unique URL of the form "group-name/badge-name/wiki-page". To view all of the wiki pages for a badge either click the "View Badge Wiki" in the "Badge Wiki" section of the badge page or just go to the URL "group-name/badge-name/topics". To create a new page in the badge wiki just go to the url "group-name/badge-name/New-Wiki-Page" and click the "Create new wiki page here" button. You can create links between pages by typing a hashtag anywhere in the body of the wiki page. For example, typing "#Progress-Log" in the wiki page you're looking at right now creates a link to "/help/docs/Progress-Log". Hashtags (and Badge List URLs in general) are not case-sensitive. All badge members have the ability to create new wiki pages. #Group-admins and #badge-experts have the ability to change the editabilty permission of any wiki page (which controls who is able to make changes). Every change you make to a wiki page is saved as a new version. If you have permission to edit a wiki page, then you will be able to browse all of the versions of the page and restore a previous version if needed. To open the version browser, click the "Browse previous versions" link next to the version number in the header of the wiki page. Every badge also has a "Badge Overview" section which can be used to provide context and information about the badge. The overview can also be used to link to important wiki pages using hashtags as outlined above. 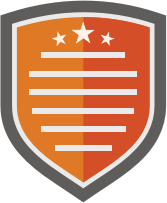 Note: Only users with permission to edit the badge will be able to edit the badge overview.